Home ARE CITIES FOR PEOPLE? Needless to say, cities are of the people and for the people. Although ideally, they must also be by the people, it is almost always not so. More often than not, cities are made by others despite the fact that the origins of them must have been small settlements initiated by people themselves. However, as the settlements grow and populations increase transforming such habitats to cities, they come to be transformed, conceptualized and even ‘owned’ by others; professionals and administrators. Today, a city cannot be transformed by anyone unless sanctioned by the city ‘authorities’. In other words, people living in cities are controlled and managed by such powers who have the authority to decide upon the nature of its spaces and places. There is certainly a justifiable reason for this state of affairs. The argument is that, although a city is a huge agglomeration of people in spaces in which they have one to one relationships, no single individual is capable of understanding and acting upon the collectivity of the larger space, which is the city. By extension, no individual is, in fact, entitled to change even the smallest of that entity, because those changes taken collectively may have larger ramifications to the entirety of the population and the city. Like the air, one breathes, although is one’s own, the pollutants one may add to the air will spoil the atmosphere of all. Hence, small actions and large volumes are interrelated and interdependent. While this argument is valid, the ramifications of this attitude are also seriously problematic to the city. Most cities are occupied and lived-in by people who do not feel that they can possess any ‘space’ or ‘thing’ in the city, including one’s own home. It is said that a city is comprised of ‘strangers’ who inhabit it in close proximity to each other. People living in cities know very few others and encounter numerous ‘unknown others’ on a daily basis. Thus, in order to come together as a group, a society, and people is often difficult. This is further aggravated by the fact that a city’s spaces are also created, modified and owned by others: authorities, who do not know the citizens well enough to understand their needs, aspirations and nuances of behaviours. Cities, more often than not, are anti-social by nature, accommodating large numbers of strangers unknown to each other. Such an existence is not what is desired by the people who inhabit it and there is a dire need to create spaces and places that are people-friendly and support socializing by bringing people together and enabling them to construct closer relationships and bonds. It is only by such means that people can build emotionally rich relations with the spaces and places of the city and engage inhabitation. To inhabit a city is not to live in it as a stranger unrooted in its spaces and places. To the contrary, the need is to enable the people to root themselves so that the city becomes a collection of places enhancing social and psychological existence and well-being. 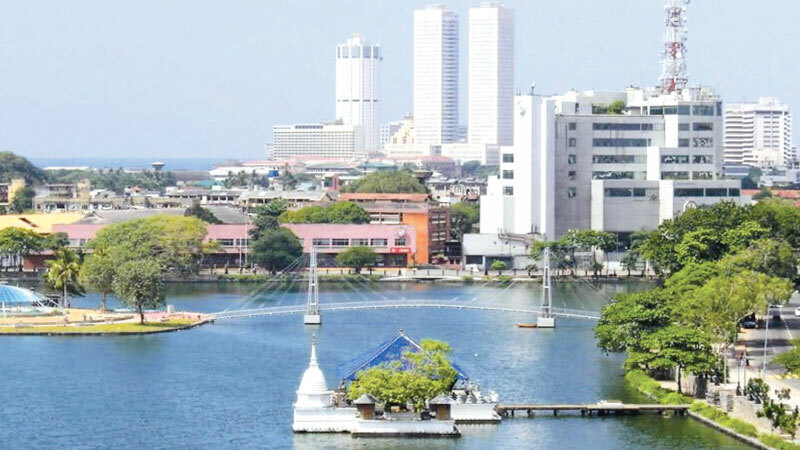 ICCPP is the one and only scientific conference series held in Sri Lanka annually on the theme of Cities, people, Urban Development, Planning and Urban Design. Invitees are those interested in the subject of Cities, People and Places to closely examine the ways in which the city exists as a ‘people’s place’ and how each city’s uniqueness is constructed upon the ways in which ‘urban life’ prevails and contributes to the making of places. The Department of Architecture and the ‘Centre for Cities – UoM Urban Lab’ in conjunction with their national and international academic partners is proud to announce its sixth consecutive International Conference on Cities, People & Places, to be held from October 5 to 7, 2018, under the theme ‘Socializing Cities: Creating people-centred streets and places’, at the Sri Lanka Foundation Institute in Colombo, Sri Lanka. This international Urban Design conference is aimed at bringing to light the multifaceted complexities of transformations of places. It invites the architects, planners, urban designers, geographers and ordinary people, who should be involved in the creation and transformation of places to interrogate what is happening in their cities, how they transform and how architects, planners and urban designers are either employing principles of place-making or not. How do communities view the ways in which places evolve and how do they want to participate? How inclusive do the cities become as they evolve or are transformed through planned interventions? How do urban Ghettos come into being and how to transform them? What are the principles of place-making particularly in the transformation of existing cities and making them bigger-mega cities? These are some of the questions to be addressed. ICCPP-2018 calls upon the academics and others interested in the cities, people and places to explore the ramifications of our approaches to the city and contribute to the need to create people-centred streets and places in cities. Historical evolutions of the cities: from people-places to others. People and places in the cities: public squares, alleyways, parks, market squares etc. Small economies and small places: Poor and their places in the cities. Unique Structures, Geographies and Locations; and their power in creating social places. Role of water in Cities in Creating Social Places. City events, Processions and Religious Ceremonies in Urban Space and Social power of place. The conference invites other approaches to the central theme of dealing with the creation of people-centred places and streets approached from economic, social, psychological, geographical and political or any other approach. The conference envisages facilitating and constructing a deeper understanding of the relations between cities and people so that we can devise ways and means of enabling healthy and delightful places to live. This will, thus, serve as a venue for the confluence of the international community of visionaries, developers, policymakers, academics and researchers devoted to making cities more sustainable and livable. The Conference will accommodate contributions of participants from different disciplines, yet focused on the single subject of Urban Spaces and Places. The inauguration ceremony of ICCPP - 2018 will be held today at Sri Lanka Foundation Institute in Colombo. The scientific conference will be held tomorrow at the same venue, including more than 30 numbers of local and international presentations running in four parallel sessions throughout the day. The inauguration will be held with the presence of the Minister of Higher Education and Cultural Affairs, Wijeyadasa Rajapakshe and the keynote speakers of this event are Prof. Rebecca L. H. Chiu, Head, Department of Urban Planning and Design, University of Hong Kong, Deshabandu’ Archt. Plnr. Dr Surath Wickramasinghe from Sri Lanka, and Nayana Mawilmada from Sri Lanka. This conference is also open for limited pre-registered participants from other disciplines.